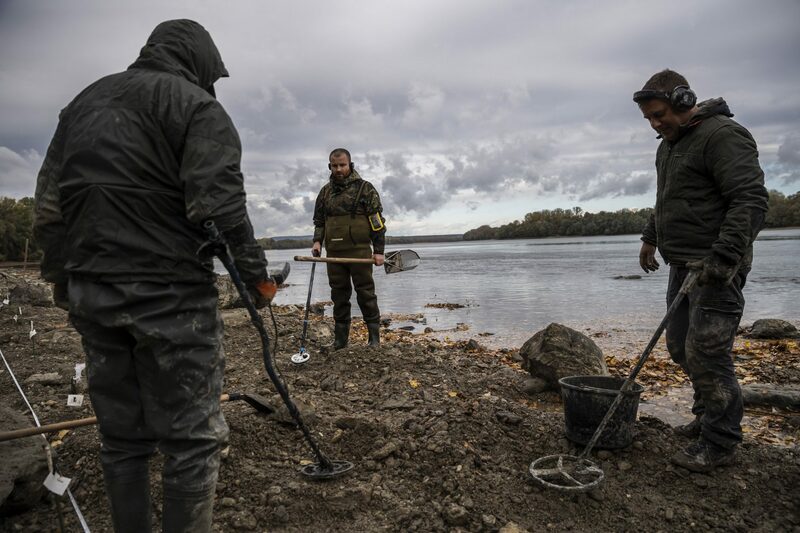 Gold coins and old weapons have been found in the Danube near Érd as the water level of the river has continued to drop to record lows. The treasures were shown to the public yesterday. As we reported earlier, water levels at several points along the Danube River, including in Budapest, have hit record lows. The low levels brought several lost items to the surface: in Budafok a whole car emerged from the water, followed by shipwrecks and two half-ton American bombs. At the press conference, Gábor Gulyás, director of the Ferenczy Museum, said that an amateur archaeologist found the treasures with a metal detector. First, he found a bell with the figure of St. George. He informed the museum and since then, more and more finds have emerged every few minutes. The archaeologists’ most logical presumption is that there must have been a shipwreck in the area. They are now trying to figure out when the ship sank by determining the age of the recovered coins. Recently, a coin surfaced dating back to 1743, the age of Maria Theresa. A drone video was also made to try and pinpoint the position of the ship. By the end of the long weekend, more than 2000 gold coins were found by the river. Many of the coins are rare and foreign. 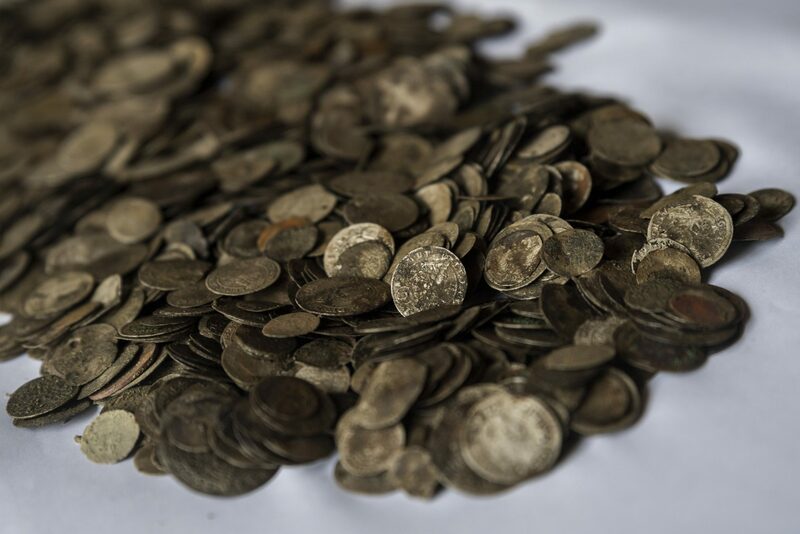 Some of the coins found can be traced to the Vatican, from Pope Pope Clement XII, Zurich and Dutch ducat. There are 22-carat Hungarian gold coins from the XVII-XVIII century, silver coins and French coins from Louis XIV. Iron objects, weapons, bells, ship parts, daggers and cannonballs have been discovered as well. The museum plans to showcase the findings later in an exhibition. Gulyás said the objects need to be restored, so the exhibition won’t be organized before 2020. They plan to display the findings in Érd and other parts of the country as well. However, not only treasures can be found in the shallow waters. 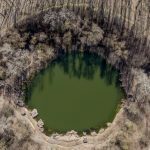 Earlier this month, toxic fluids streamed into the river from the former Óbuda Gas factory. 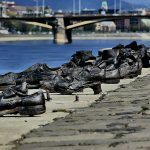 This week, artillery tools were found in Budapest near the Liberty Bridge at the so-called Ínség-szikla, which only surfaces when water levels are low.